Framed artworks featuring Paris are the perfect home decor accessory. Each city has distinctive landmarks, architecture, food and other unique characteristics. To celebrate the beauty and diversity of Paris, BandagedEar.com increased its inventory of art prints featuring this famous French location. 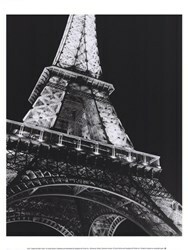 Discover art prints of the Eiffel Tower, Paris skyline, L'Arc De Triomphe, French cuisine and much more. Shoppers can take advantage of the framing services from BandagedEarcom. All posters, art prints and artworks are available with over one million different framing configurations. Customers can enjoy a 25 percent discount on all prints and framed art prints from BandagedEar.com through the end of November 2013. For more information, visit http://www.bandagedear.com. BandagedEar is an extensive online wall art gallery and community site where art lovers can shop from among thousands of carefully selected art prints and posters. In addition to high-quality art prints, BandagedEar.com offers free tools to help customers discover new art and artists. A custom frame shop allows customers to choose a high-quality custom frame, which typically costs less than local frame shops. Choose from among millions of different configurations by specifying the frame, matting, cropping and glazing. All purchases are backed by a 100% satisfaction guarantee. Please visit http://www.bandagedear.com for more information.